What does flinging perturbed birds at egg-stealing pigs have to do with improving your customer experience? 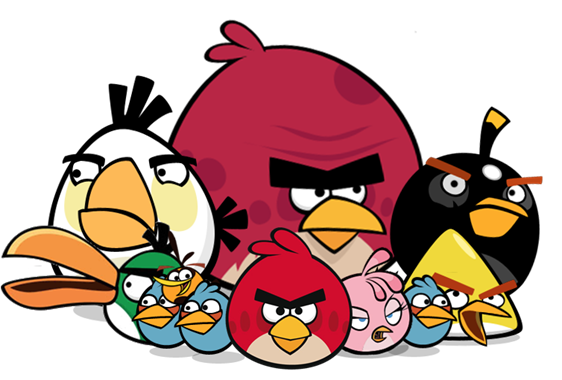 For one of our clients, thinking about Angry Birds gave them a strategic insight into motivating their end users. Recently, we hosted a workshop on the Psychology of Design for a Red Privet client that offers a web-based corporate training platform. Conducted by our resident experts President, Matt Hummel, and Principal Experience Researcher, Heather Wadlinger, Ph.D., the session explored different psychological and behavioral concepts that can impact customer decision-making and motivation. After a brief lesson on the basic concepts like behavior change, habit formation and gamification, the Red Privet team introduced frameworks such as A.R.C.S., self-determination theory and B=MAT. Armed with their newfound knowledge, the client applied each model and framework to their current business challenges. When considering the “Relevancy” component of the A.R.C.S. model of motivation they realized that although the platform was set up to reward overall company performance many of their users had more intrinsic sources of motivation, such as personal development. By allowing users to select a value proposition that aligned with what they valued as individuals–participation rates may increase. Another challenge they were experiencing involved the abandonment of courses. Users would start a class, fall behind and believing they wouldn’t be able to catch up—just stopped all together. By questioning the assumption that they had to complete all elements to move to the next level, the team noticed the similarity with achieving different star levels in the Angry Bird game. They realized that they could decrease abandonment and increased product satisfaction by offering different levels of completion. These significant insights weren’t the result of months of user research and analysis. In one afternoon, the client team came to several “a-ha!” moments simply by shifting the lens through which they view their core challenges. While formal research has its place and can help increase confidence in findings, most businesses can quickly make a significant impact through the thoughtful application of existing behavioral and psychological models.